Plans are underway for clothing designer Elisabetta Gucci to lend the Gucci name to the booming hotel business in the Middle East’s favorite place to spend money, Dubai. 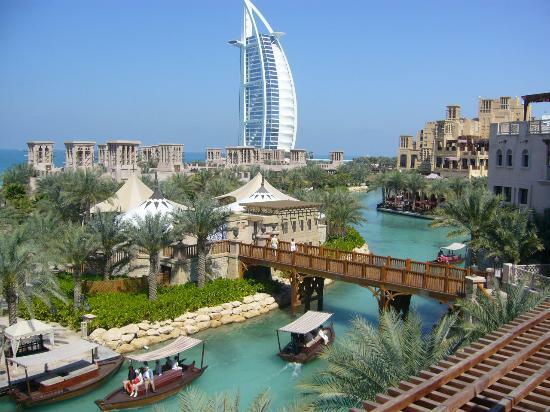 Sitting on the coast of the Persian Gulf, and surrounded by the brutal-yet-picaresque Arabian Desert, Dubai represents the finest results of capitalism within the oil industry, and has become a major hub for tourism and business over the past few years. Perhaps inspired by rival fashioneer Giorgio Armani’s dramatic foray into the hotel and Dubai real-estate business, Gucci’s hotel will be modest by comparison, and have lodging prices range from an affordable $408USD per night to a less-affordable-for-some $6,808USD per night. Though Dubai is a beautiful city, sporting its own particular history, its current state is somewhere between tasteful and excessive. Home to the world’s tallest building, the Burj Khalifa, and a desired destination by social elites world-wide, the city is not without an explicit sense of artifice. Paul Goldberger wrote an incredibly informative article for the New Yorker in February detailing the city’s current amusement-park-like state of being, which leads one to wonder why so many people would be rushing to have their names plastered on the capstones of new (and expensive) construction. The Gucci hotel is scheduled to open at the end of this year, and if all goes well, the Gucci hotel chain will continue to expand internationally. Lorenz Miller, managing director of the newly-established hotel chain, says that they’d like to see forty hotels open in the next fifteen years. When you’re name is as authoritative as Gucci’s, this shouldn’t be a problem. Though, seriously, $340 for a leather belt? Dubai is my one of the favorite place to enjoy my summer vacation. But if you able to spend some more money then must go at casadorada hotels in cabo. you will find some amazing facilities and fun that you never think before.